East Bay Mini is a very professional and trustworthy dealership. I have to give a big shout out to Kaitlyn Quan for fighting and advocating for me on a used car I bought here. 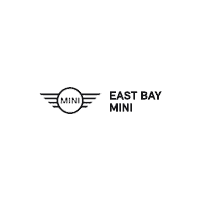 Without her I definitely would not have gotten the car.1) Great, professional service.2) Fantastic staff that are knowledge and hard working3) Very competitive pricesThank you again East Bay Mini! Friendly people. Wasn't like going to some dealerships where if your not bringing your car in or buying a car you get looked down on. Very helpfull even over the phone. I will return when i need parts for my mini. My wife and I bought a car from Dave at East Bay Mini. Dave definitely knows about Mini Coopers and was able to answer all of our questions. He was even able to answer some questions that a couple of other dealerships we went to were unable to answer. He promptly pulled up the Car Fax on all the cars we were looking at so we could see their service record and ensure us that we were getting a quality auto from him. We had Seamus help us, he was very helpful and nice. We will be going back here for all our mini purchasing needs! I bought a service agreement when I bought my mini in 2018. it lived up to what I expected. They topped off my fluids, flushed my brakes, changes my oil and cleaned, vacuumed and washed my car. They also paid for an uber to take me to the mall and pick up up at the mall and bring me back. it was a great experience!! !